Robert Byrd, the longest-serving senator in history, was released from the hospital today after doctors treated him for a mild infection, his spokesman said. Byrd (D-W. Va.) became ill with a temperature on Monday following votes and Senate business. His doctor recommended he spend the night in the hospital. "Senator Byrd will complete the course of his antibiotic treatment as prescribed by his doctors at his home and is expected to return to his official Senate duties upon his doctors' approval," Byrd spokesman Jesse Jacobs said in a statement. Sen. Robert C. Byrd was hospitalized Monday night at his doctor's urging after suffering from lethargy and sluggishness at the Capitol and, later, at his home, a spokesman for the 90-year-old Democrat said. Press secretary Jesse L. Jacobs said the West Virginia senator would be in the hospital overnight for observation. Byrd, who is the longest-serving senator in history, voted during a 5:30 p.m. roll call Monday, then went home. Jacobs said the senator began to feel ill less than an hour later. 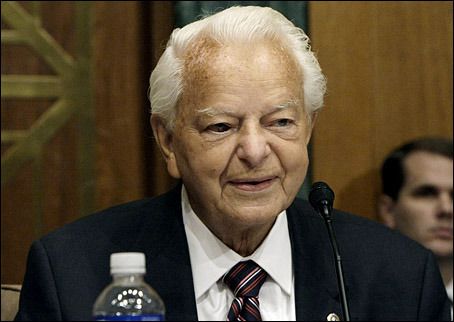 For the third time in 2008, Byrd was hospitalized on June 2, 2008, after a caretaker noticed lethargy and a fever. 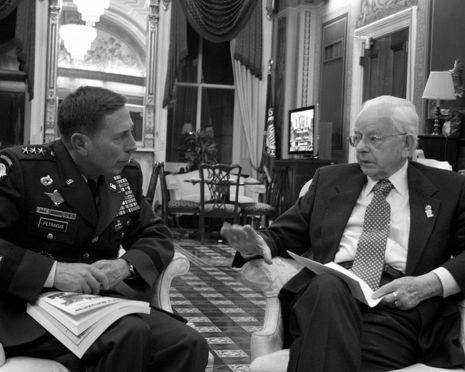 Byrd's condition was not considered serious but he remained in a Washington DC area hospital for observation. Byrd was hospitalized twice in March 2008, once for a reaction to antibiotics and another after a fall at his home.